Over 30 years performance experience. 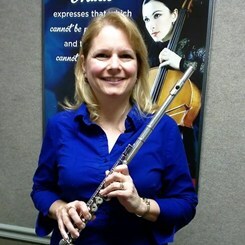 Performance experience includes over 3 years with the Broadneck Flute Choir, and Co-lead and conducted the Broadneck Youth Flute Choir for 2 years. 12 years teaching experience. Specializes in beginner and intermediate levels. Request Lessons with Lorine today!